Many men and women become less flexible as they get older. That loss of flexibility can make performing everyday tasks more difficult while also increasing the risk of injury when working out. Fortunately, there are many steps men and women can take to improve their flexibility. · Embrace dynamic stretching before a workout. Static stretching was once the rage, but research has indicated that static stretching is not as beneficial as people once thought. Static stretching is a blanket term used to describe several techniques that stretch muscles while a body is at rest. When a person is performing a static stretch, he or she gradually lengthens the muscle until it reaches an elongated position, which is then held for 30 seconds or more. But recent research has indicated that static stretching is not as effective before a workout as dynamic stretching, which are stretching exercises done while a body is moving. Push-ups, squats and lunges are just a few examples of dynamic stretching techniques, and these exercises can warm up your body and prepare it for the workout to come. · Reconfigure your workout. 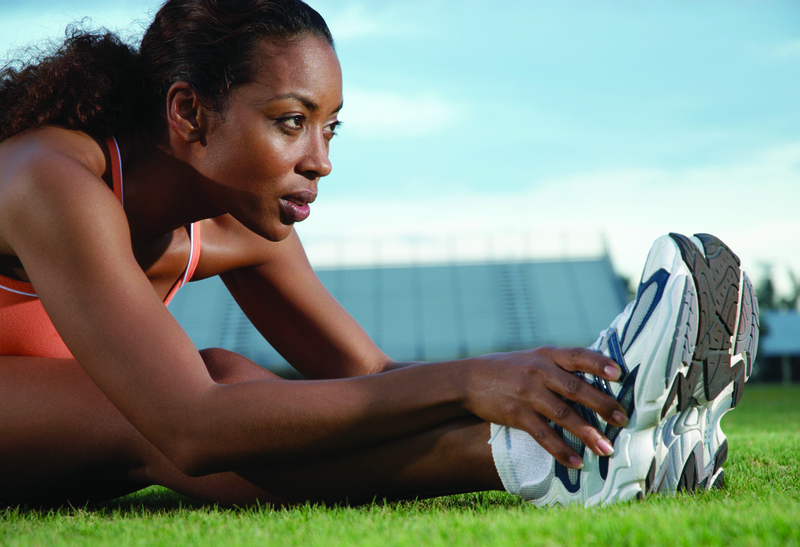 When you want to improve flexibility, it’s beneficial to examine your existing workout routine. Are you lifting as much weight as possible during your strength training workout but don’t really know why? If building muscle mass is not your goal, you can probably improve your flexibility by lifting less weight. Lifting less weight can be a great way to tone your muscles, and you won’t be sacrificing the benefits associated with strength training. · Drink water. Properly hydrated muscles are more capable of responding to flexibility training than poorly hydrated muscles. Make an effort to drink more water throughout the day, and bring your own water with you to the gym so you can stay hydrated during your workouts. · Find ways to unwind. Your workout may not be the culprit behind your inflexibility. Stress can cause muscles to tighten, and it also increases your risk for a host of ailments, including heart disease and stroke. If your workout routine is already one that promotes flexibility but you are still dealing with tightness, then you might be falling victim to stress. If that’s the case, find time to alleviate that stress throughout the day, whether it’s taking a relaxing walk during your lunch break or embracing yoga at the end of a long day. · Perform static stretches at the end of your workout. Static stretches may be ineffective and contribute to injury at the beginning of workout, but that does not mean they can’t help you improve flexibility once your workout is complete. Static stretches at the end of a workout can help you lengthen muscles that might have lost some of their flexibility during strength training. Men and women who can’t seem to improve their flexibility no matter what they do may benefit from working with a professional trainer or discussing their concerns with their physicians.